I was on board with this since I heard this was happening. I really enjoyed his take on Godzilla, even if other people didn’t, from the look and design to the film itself. For that, I know he’ll bring some really cool visuals and a grand scale to the film. Some of this we’ve already seen in the trailers and I can’t wait to see how it looks on the big screen. Can we all agree that this shot looks incredible? He’s also bringing a lot of love to this, as he is a huge fan of Star Wars and has always wanted to make a movie in the universe. As much as we love all our familiar characters, it’s going to be fun to have a film that takes us away from the Skywalkers and Solos and gives us the stories of other people in the universe. With such a rich world to explore, and indeed TV shows, novels, comics, and other not–necessarily-canon-anymore media have been filling in these gaps, it will be a nice change to see that cinematically. 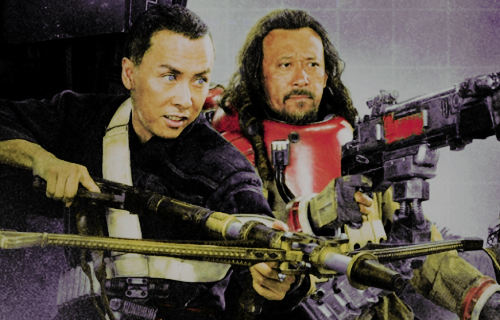 For me, I’m most interested by Chirrut Imwe (played by Donnie Yen) and Baze Malbus (played by Jiang Wen). I don’t know what it is, but from the first trailer I’ve wanted to know more about those two more than any of the other characters. This relates to my point above. 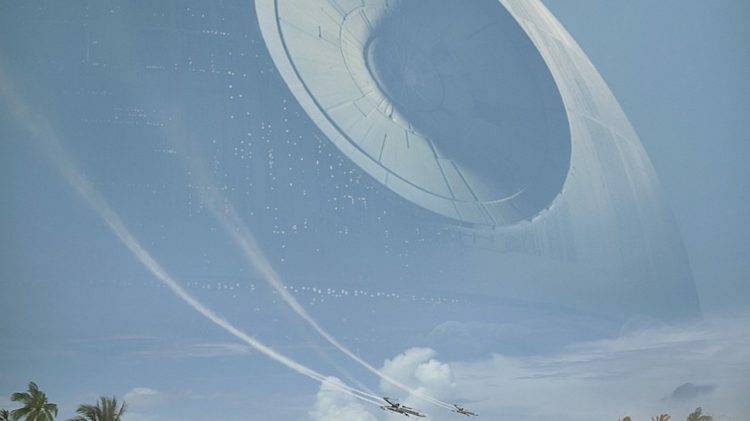 We still have a point of connection to the original films in the story of Rogue One, and now we’ll get to see the world as it was from a different perspective. When we first began the story of the Star Wars universe with A New Hope, we didn’t have a lot of the information about the universe itself because we were closely following Luke’s journey. It will be really interesting to see the state and workings of both the Empire and the Rebellion as they were before everything started to happen. In seeing the promotional material for this film, I’m impressed with the attention to detail. 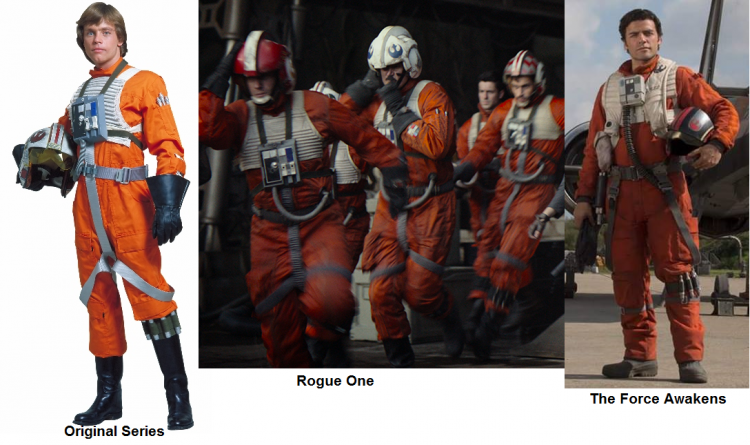 In The Force Awakens, there are several differences in costume for the Stormtroopers, X-Wing pilots, etc. from those of the original films. But not only is this film matching the originals as they should be, but even the ships, the interiors, and just the feel is in line with its place in the timeline. So well done to all the folks in charge of costumes, sets, and effects. This one makes me sound like a bit of a hypocrite, given that I poo-pooed the Power Rangers trailer for doing the exact same thing. The difference, however, is while the Power Rangers trailer was dark and serious in an angsty, overwrought way, the Rogue One trailers have been serious in a life-or-death situation, odds-stacked-against you kind of way. It seems as if it will be tonally a bit different from the ‘main’ films, and I think that will be a good way for it to establish it and others that follow as separate but still inhabiting the same space. There were even reportedly reshoots to lighten up the dark nature of the movie, which is fine as long as it isn’t obvious and badly patched together like Suicide Squad was. So what do you guys think? Are you excited for Rogue One, and what about the movie is the most exciting to you? Sorry this is a bit late, we were away yesterday and I’ve also been up to my neck in Halloween prep (which I will be resuming after this). As always, I’d love to hear what you guys think down below! 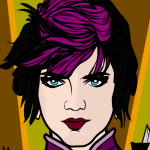 This entry was posted in Fantasy & Sci-fi, Lists, Movies and TV, Previews and tagged geek culture, movies, star wars. Bookmark the permalink. I’m surprised that I’m not more eager. Probably just old age setting in . . . I remember hearing when orig. SW came out that all nine would be released by the year 2000. Lucas is late, but he’s still gonna beat legalization of flying cars and America’s conversion to metric. Anyway, looks like good workmanship. I hope sound editing reaches the level of excellence the originals had as well–too much downhill in that field. #4 Yes, even if Rogue One is just a bridge between Episodes III and IV and we never see these characters again. #3 This is the selling point for me. Not just telling the story of the unsung heroes, also adding history to the Rebellion. My understanding is that the studio and the producers threw out everything from the Expanded Universe to go with an original story. Since I’m not into the SWEU, this won’t have an affect on my expectations. #2 “Historical” accuracy is a big boost for Rogue One. Episodes I and II never felt as they even belonged in Star Wars. Get ready for some harshing of your mellow. Because I and II only came about because some Hollywood honcho decided to make movies out of some gad-awful fanfic. Wait, that honcho was George Lucas. And that fanfic writer was also George Lucas! #1 I heard that the first take didn’t test well with audiences. So the studio scrapped it and started over. My gut tells me that the studio either went too hard into making it like The Force Awakens. Which would throw off the timeline. Kind of like going from Highlander to H II No to Highlander III: Please ignore that last movie. Or, it was too close to Episodes I and II and the audience simply groaned and walked out. Overall, I like what I have seen so far. My problem is that Episodes I and II ruined Star Wars for me. Episode VII was a let down because it was pretty much a re-hash of Episode IV. That Rogue One is set in the Star Wars galaxy outside of the legacy characters might be refreshing. Keeping in mind that the story is extraneous to Episode IV, it better have some serious wow-factor.